In my quest to buy less stuff, recycle the stuff I have, and rekindle the abilities that seem to have been lost to the generations, I decided (following a small flood) that I was going to try to weave a rug. Sure, I could definitely run out to some store and buy a replacement, or (the old me) would have bought one on Amazon. Instead, I decided to put to use a giant piece of wool that I bought (for no particular reason other than that I liked the colour) in Sweden. I’ve been vaguely using it as a decorative blanket for years, so it was time to give it a new life. I can say, honestly, that the rug looks a lot better in real life than it does in the images, it’s a little wonky and definitely has a hand-made feel, which I love. It’s super thick and warm and is like having a sweater for the floor. 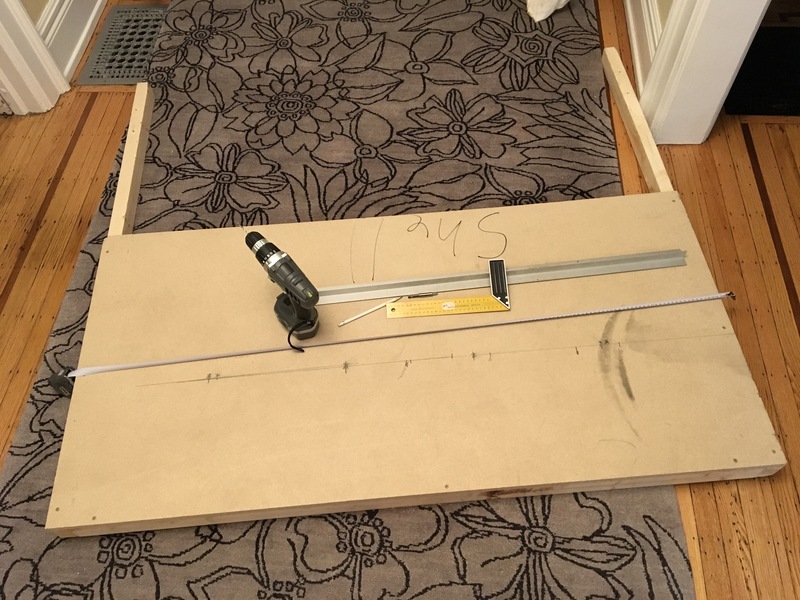 I started by building a loom out of a 1×3″, which I drilled 2 5/8″ holes into and pounded nails every inch. I inserted two 5′ dowels and pulled old acrylic yarn (yellow) between the nails. Boom, I had a loom. I did a test weave using 1″ strips of wool and the result was more like flower petals than the chunky knit-like weave that I wanted. So after some experimentation, I decided to start again and this time used 1/2″ strips which rolled and worked much better. Much more cushion-ey, and more of what I wanted. After weaving until I ran out of wool, I removed the entire thing from the loom, tied off the ends, and then used a lighter colour wool to weave the end loops together along the long end and bind off the short end. I used some amazing red yarn that I bought at Labour and Wait in London (and has been taking up space for ages), to blanket stitch the binding at the end (and hide a multitude of yellow yarn.) Overall, not bad for an experiment and one I will definitely re-visit again. The finished rug with bound edges. I decided to start over, because this one was too flat… don’t worry, I’ll re-use it to make another rug. Making progress and experimenting with sneaking in some extra fabrics. Getting started with attempt #1, which (as you can see above) I abandoned and started over. Cutting strips. I started by cutting 1” strips, which were too unruly. Is too clean dangerous? 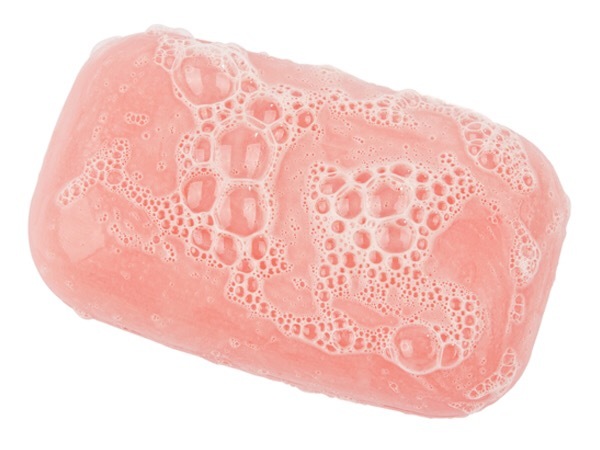 This is a compelling article that makes you consider (or re-consider) the ingredients in your shower gel and bath soap. It’s strange, so many of the ingredients and additives that are banned elsewhere in the world are still very much in our soap and personal care products. Read the original story about triclosan at Quartz. If nothing else, this story should give pause about using commercial products and perhaps prompt you to consider making some soap of your own! My friend makes her own soap (which is fantastic) and the main ingredient is coconut oil. She uses the recipe you can find on Mommypotumus. Posted on July 17, 2017 July 18, 2017 Author silver slickerCategories Buy Less, Cleaning, Consumerism, Hipster Homesteading, Housekeeping, Kitchen and Cooking, Making, SimplifyingLeave a comment on Soap. Today, I became an e-resident of Estonia! I’m one of a very elite group of Americans (there are about 500 of us) that now holds e-residency for Estonia. Estonia, as some of you know, is my adopted home away from home, largely a product of my partner’s research activities there. Over the last eight years and seven visits to Estonia, I have come to love the country and its amazing history. The very short version is that Estonia has been inhabited for a very long time, by very resilient people who have worked diligently and seriously to maintain Estonian culture, despite odds that seemed constantly to the contrary. Us: No, Estonia. Astoria is a neighborhood in Queens, New York. When we were kids, it wasn’t on the map, it was part of the Soviet Union. Person: Oh. (This is where the blank look intensifies.) So… you’re going to Russia? Us: No, Estonia. It’s a little country on the Baltic Sea. The little map that we carry around to show folks where Estonia is. Person: Oh, right. So you’re going to Russia. Us: Actually, Estonia is a pretty cool place. It’s where Skype comes from! Person: Oh wow! Yeah! I know Skype. No joke… we’ve had that exact conversation about 10,000 times. About 1 in 30 people actually pique their interest after “the conversation” and for the other 29, it’s their loss. Estonia is one of the coolest countries I’ve been to. Throughout the last five centuries, Estonia has been occupied: by the Swedes, the Danes (and in fact, it was in Estonian where the current Danish flag was “discovered”, the Swedes again, the White Russians—and then Estonia became independent—until it was invaded by the Nazis, then the Soviet Russians, and then again in 1990, Estonia became the first republic to cede from the United Soviet Socialist Republics, or The Soviet Union. Since then, Estonia has been free and amazing. Despite years of oppression, Estonians kept the Estonian language, culture, and traditions alive, despite the fact that all were illegal under 50 years of Soviet rule. Estonians have a national tradition of song and dance, and in fact, won independence the second time through song (not a bad approach, considering that most countries earn independence through bloody wars.) The story is chronicled in the outstanding documentary The Singing Revolution. As Estonia set up its new independent government, it had an eye on the future. It’s the only country in the world that doesn’t have a paper version of its constitution. It all lives online, and it makes for very interesting reading. Estonia is also the only country in the world to offer e-citizenship that allows e-citizens to start companies, bank, pay taxes, and fill prescriptions (among other actions) online. The idea is to foster creativity and help to secure a strong position for the future of Estonia as a home to entrepreneurs, inventors, and other creative people. As a country used to doing business in a different manner, I am thrilled and honoured to be an e-resident and part of such a great society. Posted on June 26, 2017 June 26, 2017 Author silver slickerCategories History, Interesting, Internet, Making, TravelLeave a comment on Today, I became an e-resident of Estonia! Airstreams all the Rage in LA! 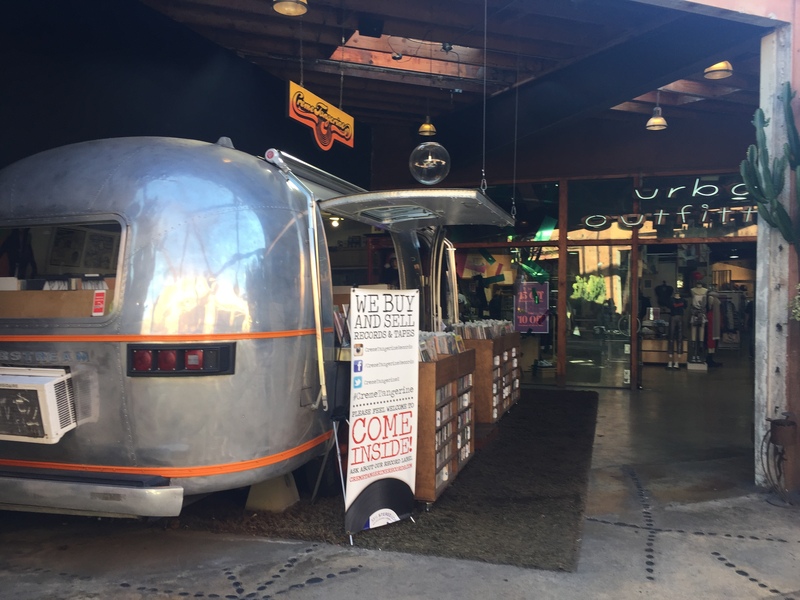 It looks like vintage Airstreams are invading the retail market in LA! My friend and colleague Sue sent me these awesome images of Airstreams in action! Thanks Sue! 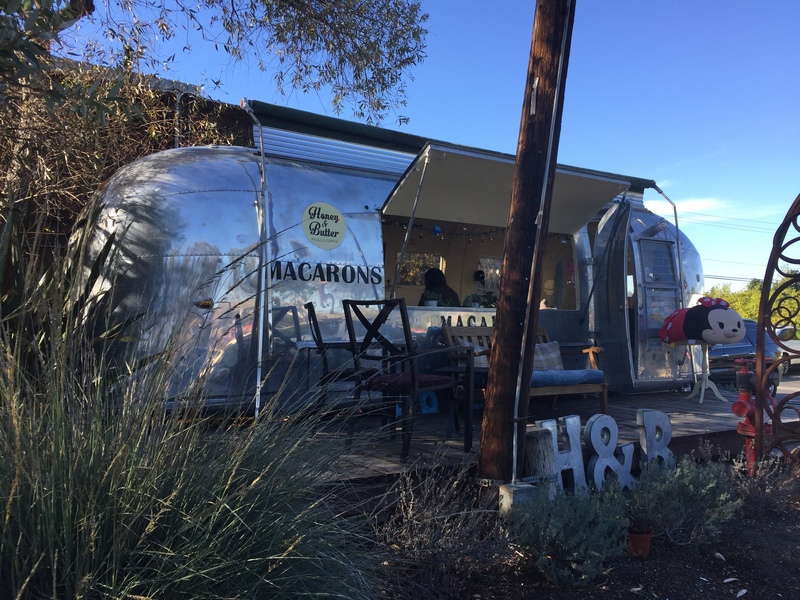 Posted on December 23, 2016 December 19, 2016 Author silver slickerCategories Airstream, MakingLeave a comment on Airstreams all the Rage in LA! I keep these two images on my desktop to look at whenever I need a smile. 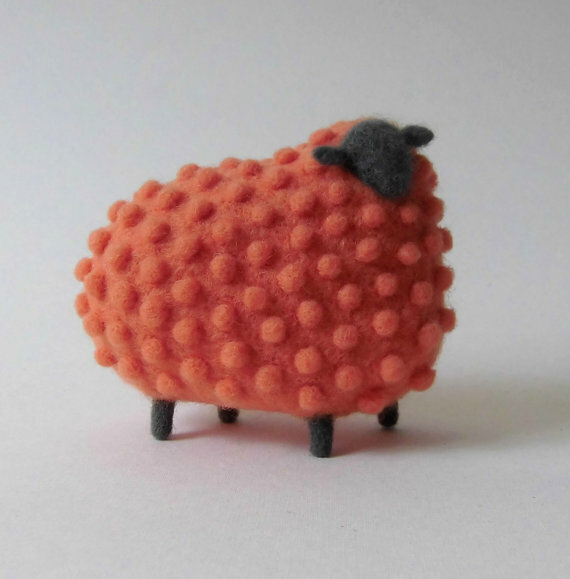 They’re the work of Hanna Dovhan, a wool sculptor from the Ukraine. 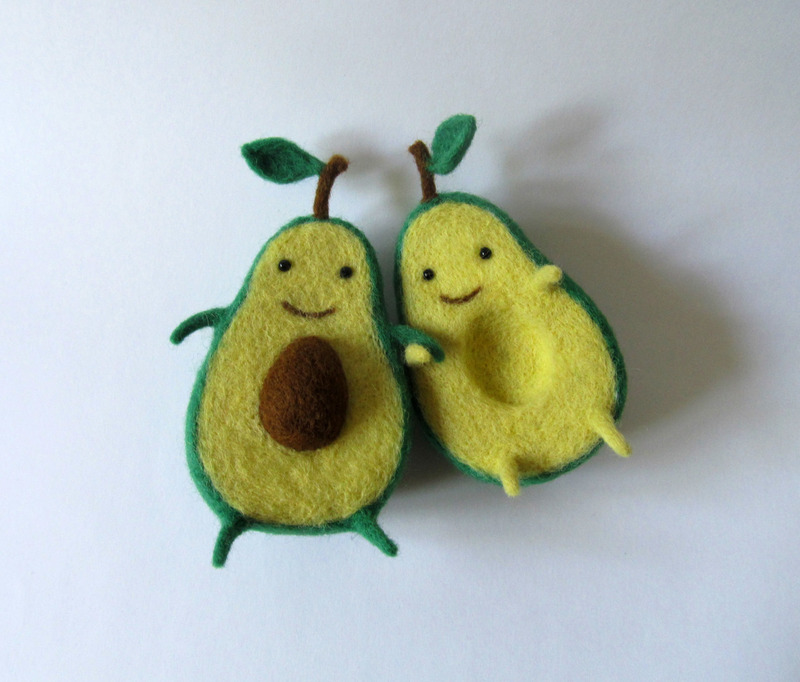 I obsessively check her Etsy page to try to nab an avocado when they come available (which is every now and then), but I haven’t been lucky enough to snag one yet. For now, I’ll just have to be satisfied with the awesome pictures of the amazingly detailed and cute work. 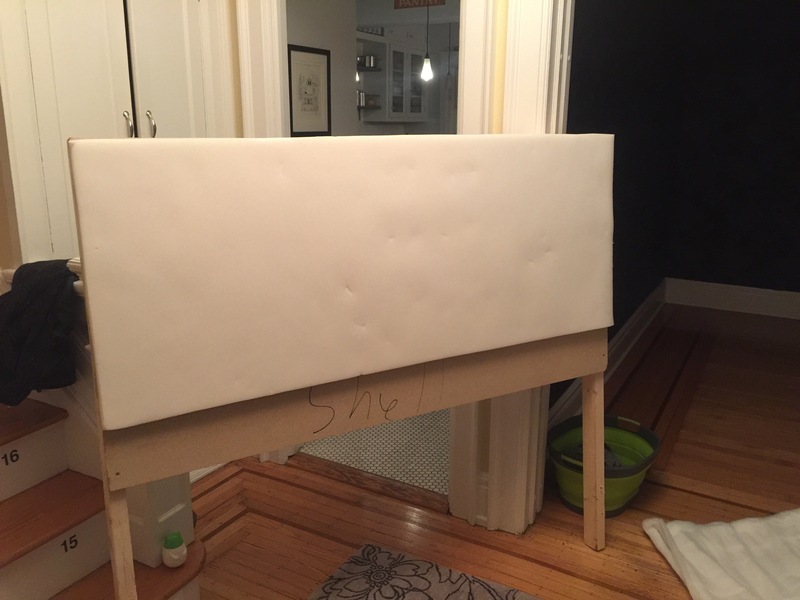 Molly and I made a headboard last week. We also made some pillows to go with it. 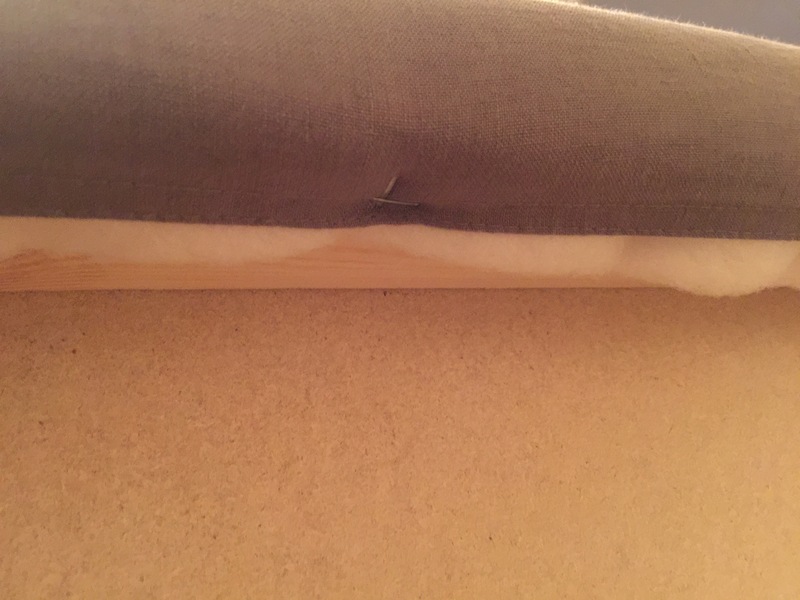 I have been searching for a headboard for our guest room, and actually found on at Marshall’s, but wasn’t thrilled with the $300 price tag on it. I thought: I can do this cheaper, better, and on my own. So I did. 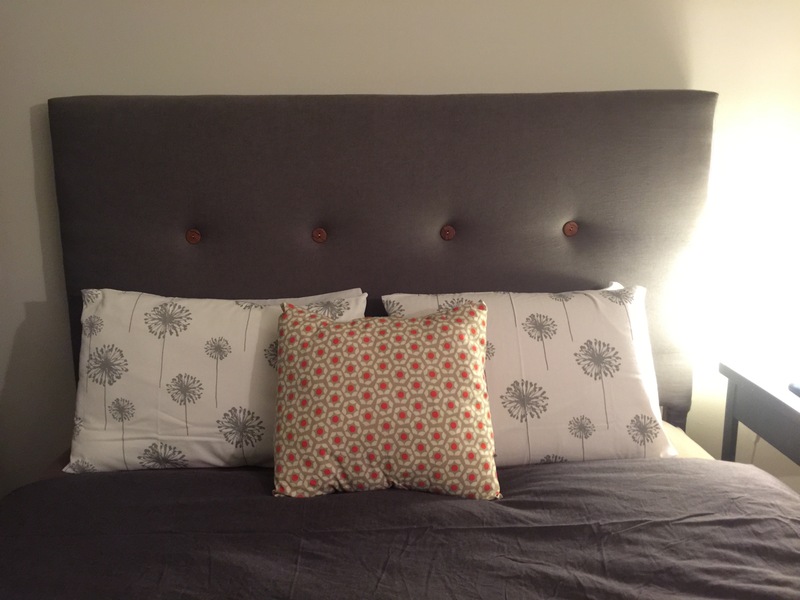 The finished headboard and pillows. I bought 3 2×3’s at the hardware store for $6. My parent’s neighbor, Mike, cut a scrap board to perfect size. I used some old decking screws to assemble it. 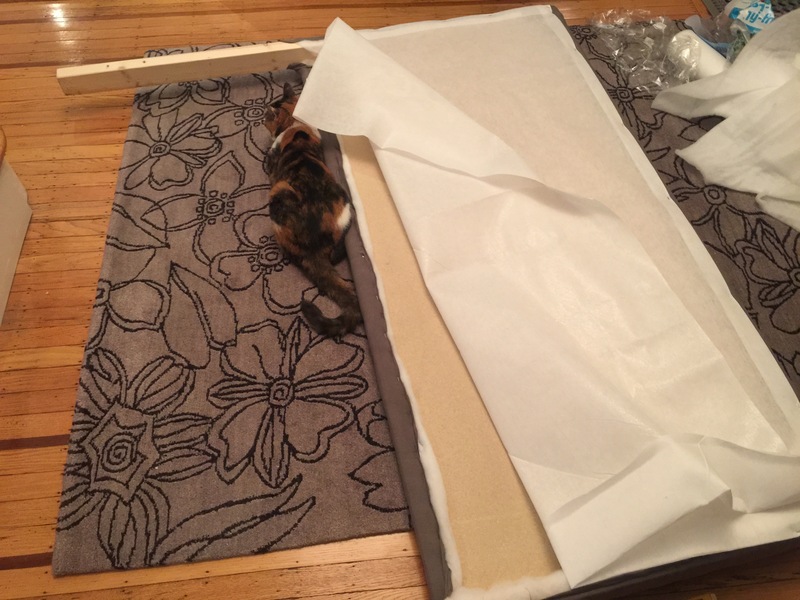 Meanwhile, Molly helped out by inspecting the polyester batting. 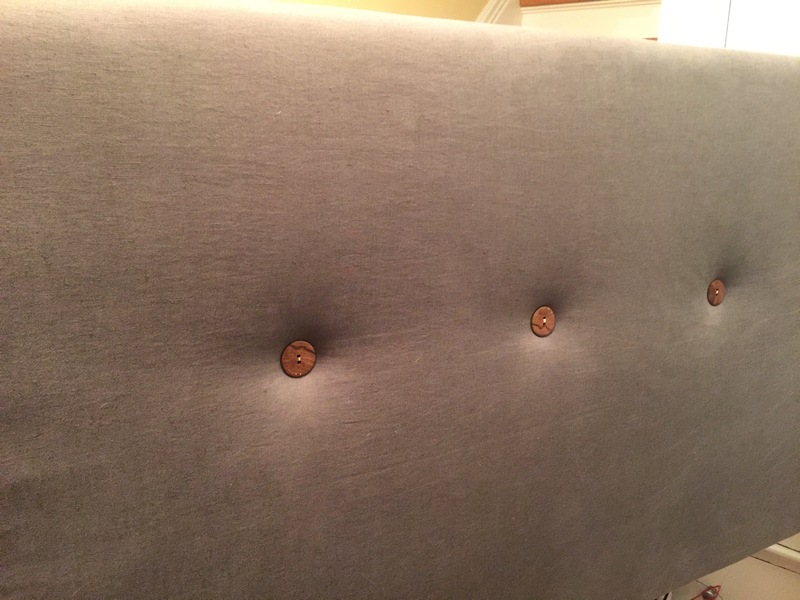 I used 3M Spray 77 adhesive (one of my go-to products) to affix a piece of foam to the headboard. It was slightly smaller, but that’s OK.
Then I swaddled the whole thing in polyester batting, and stapled it using my wonderful new staple gun from Aldi. 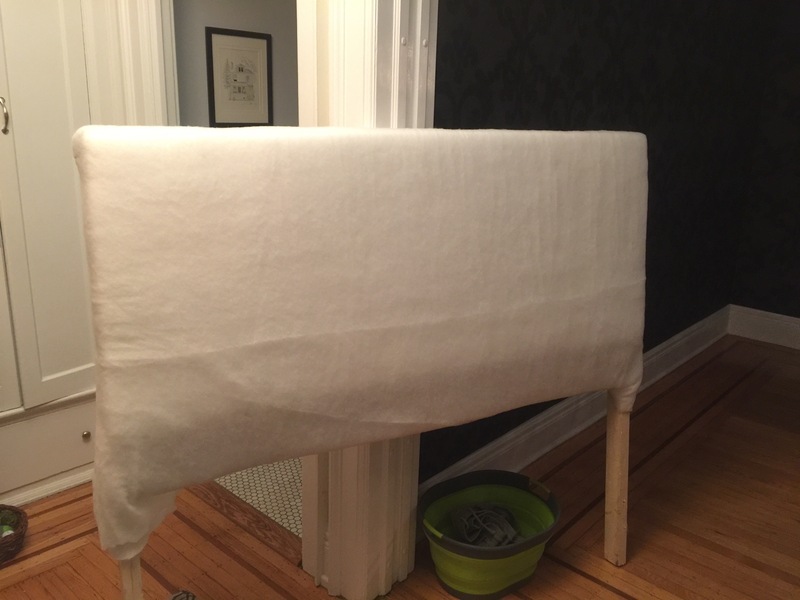 I had a great piece of Irish linen left over from my curtain project, so I stretched that over the headboard, tacking it N, S, E, and W.
Then, working my way around, using my staple gun, I tacked around the backside of the board. This is how it looked from the back. Molly and I added some cheap interfacing to the back (to cover up all the rough edges and staples. And some little felt things to make sure the board didn’t scratch the floor. I finished off with four hand-made wooden buttons that I bought in Estonia, that I tied through and affixed with wire. Total cost was about $40. 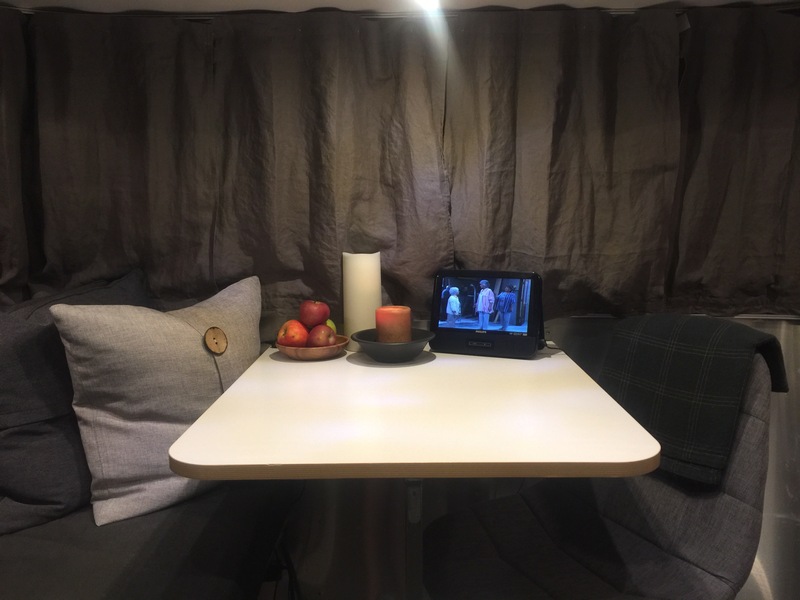 My Airstream Bambi came with some stock white curtains that are sufficient but a little institutional. 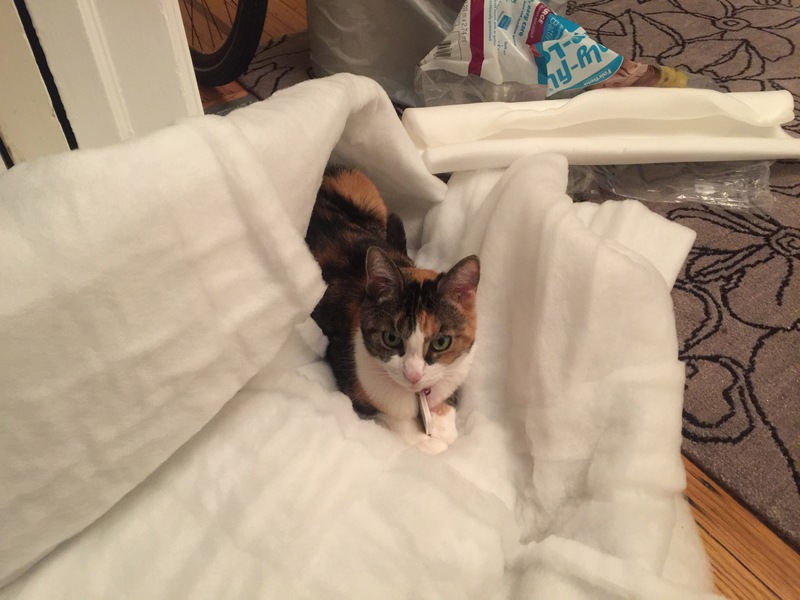 Shortly after buying and cleaning out Florence, I resolved to make new curtains. That was two years ago! 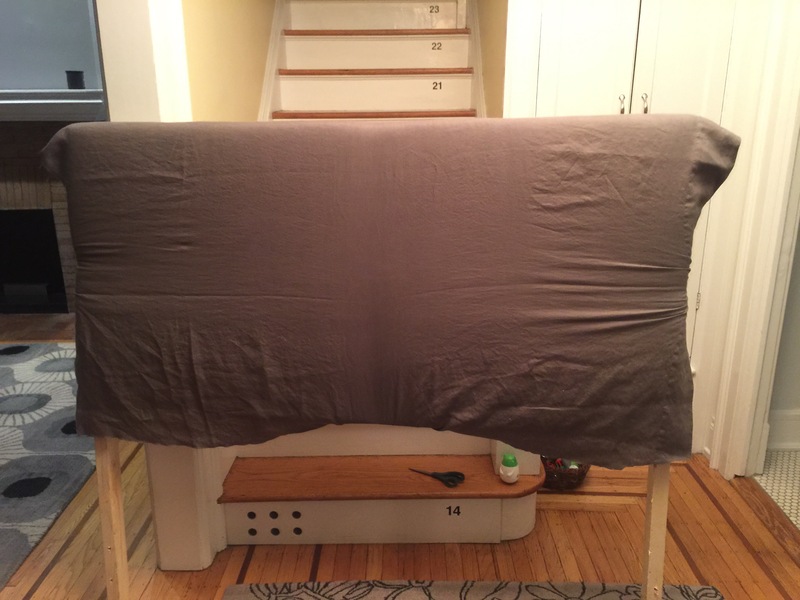 About a year ago, I purchased some great white fabric and all the hardware to make new curtains. I made one panel and just didn’t love it. 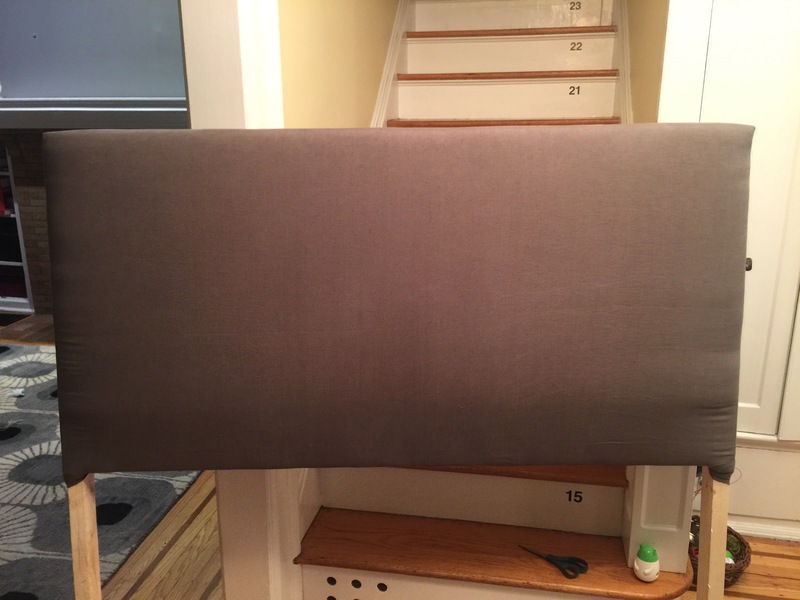 The fabric was too stiff and didn’t hang right. 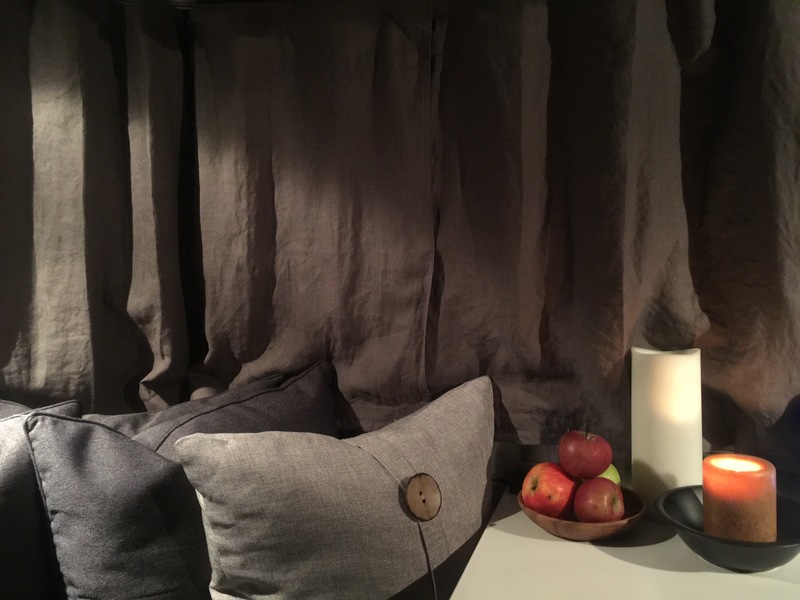 Then, while I was traveling in Europe this summer, I found a source for this beautiful grey Irish linen fabric. It has a fabulous “hand” and seems durable. Best of all the color is neutral but not boring. Sort of a warm grey. Best of all, it’s the same fabric that my new duvet is made from! So last week, I got to work cutting panels and outfitting hardware. Last week, I did a test fitting, this week I made one more panel and put on the final touches and… voila! New drapes. 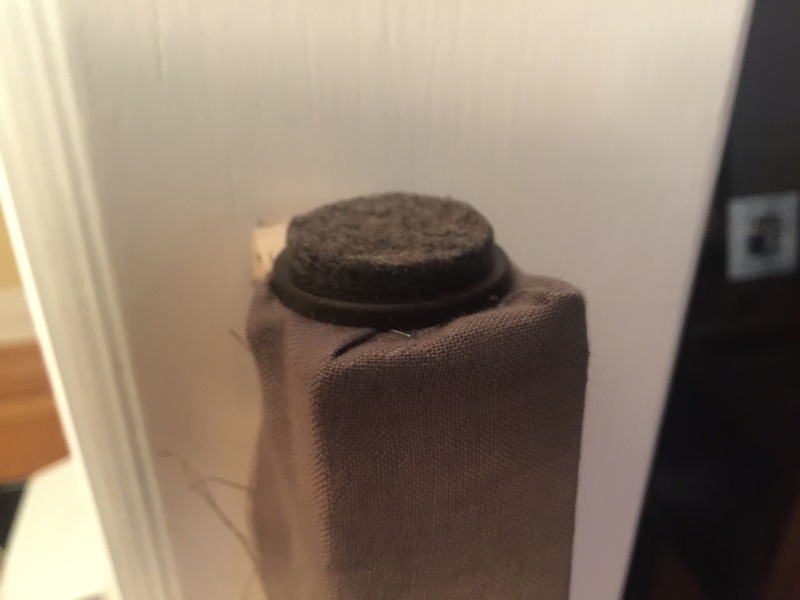 I made some Velcro tie-backs for the curtains during the day which is an upgrade from the original set. They look really great and much less harsh than the white curtains. 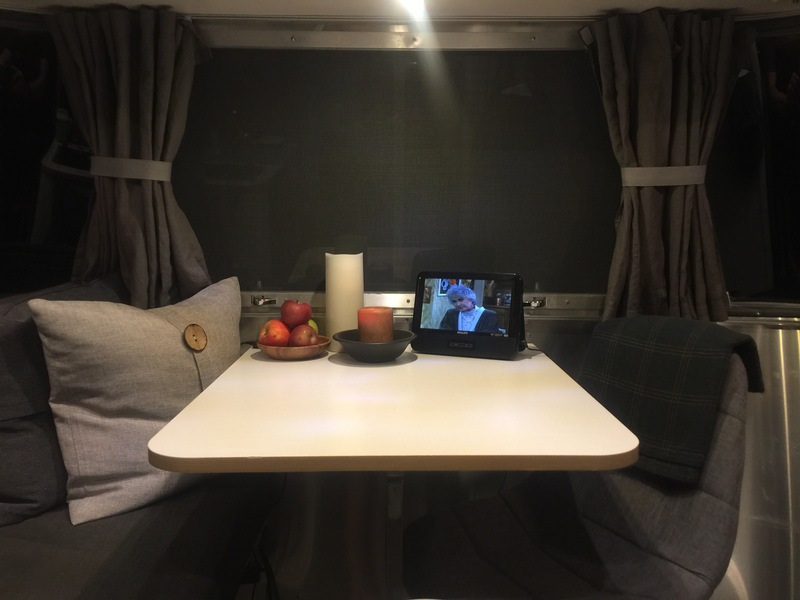 Posted on October 5, 2016 Author silver slickerCategories Airstream, Buy Less, Create, Hipster Homesteading, Making, UpgradesLeave a comment on Curtains! I am seamlessly re-posting this outstanding recipe from the Minimalist Baker, to whom I give credit with not only developing an outstanding recipe, but also with changing my nutritional life! I know, it sounds gross… but they are really outstanding and packed full of all sorts of good things. Give it a try, you won’t be sorry. As we all prepare for the Christmas and Holiday season, we’ll inevitably have to wrap a gift or two in a jiffy. The first video shows the technique, and the second explains how to do it! Posted on December 16, 2015 Author silver slickerCategories Create, Design, Hipster Homesteading, Making, SimplifyingLeave a comment on Tis the Season!